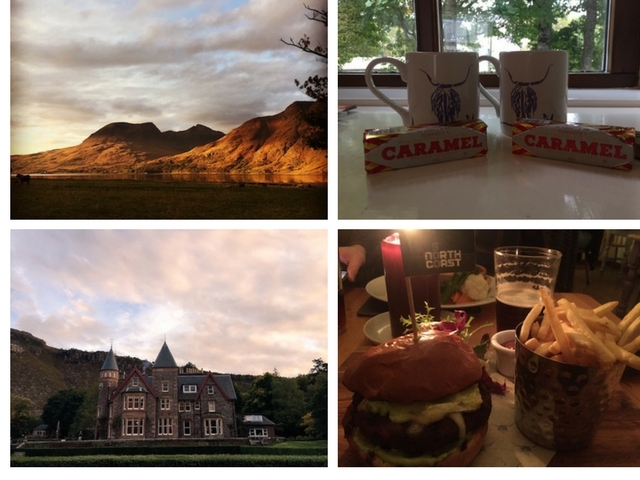 We enjoyed a fantastic five days on the NC500 in October – Scotland’s answer to Route 66. Starting our journey in Inverness, we drove the 500-mile route anti-clockwise with planned overnight stops in Brora, Tongue, Aultbea and Torridon. 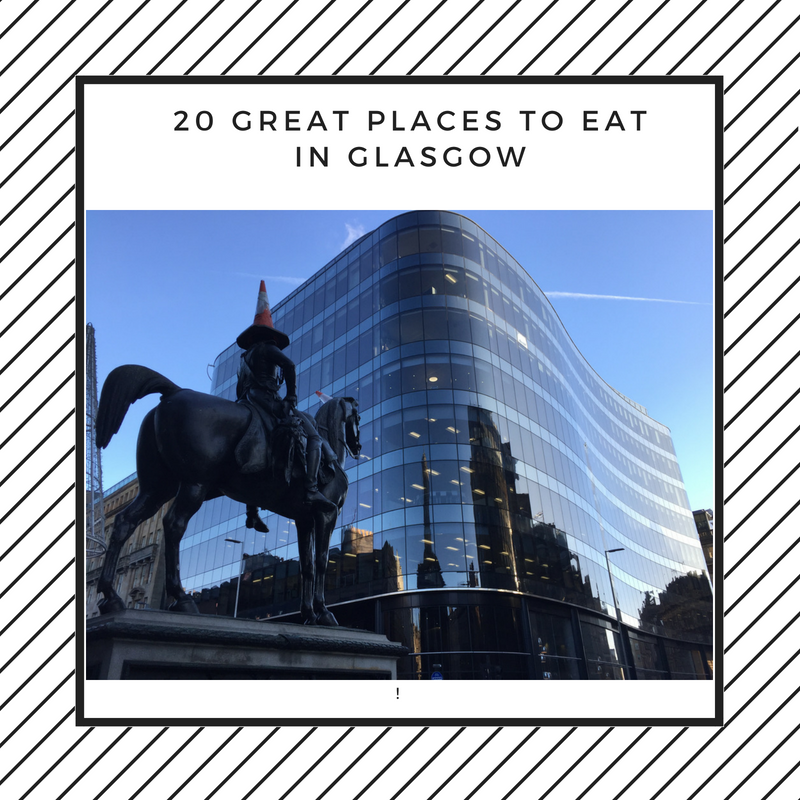 We wanted to visit great places to eat and meet as many local producers as we could along the way. If you are planning driving the NC500 this year, we hope you eat well and enjoy as much of Scotland’s natural larder as you can. Here are a few ideas (food and non-food related) to get you started. 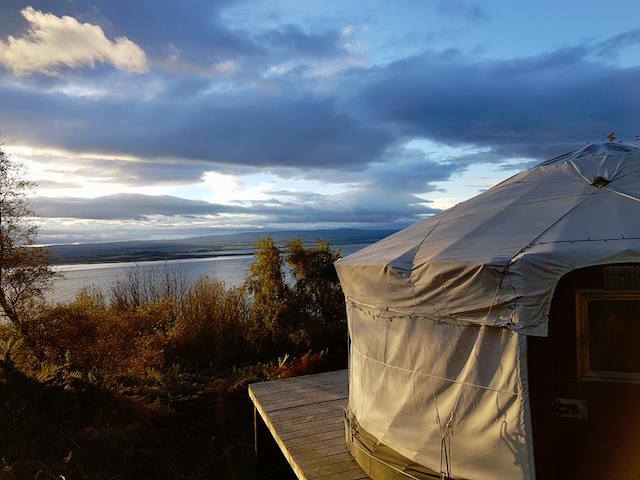 We decided to spend our first two nights in a Yurt on the Black Isle as something a wee bit different. We loved it and it turned out to be the perfect start to our holiday. Full details available at Black Isle Yurts. 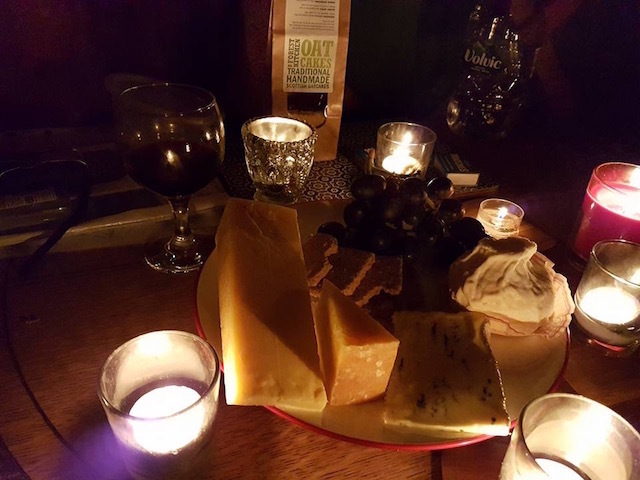 In Yurt Dining – Cheese from Connage and a glass of red wine. 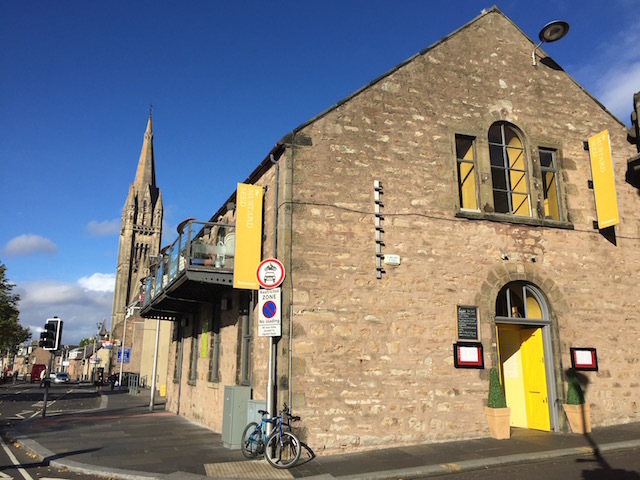 Situated on the banks of the River Ness, this former church bustles with happy diners. The restaurant’s stunning double height ceiling makes it bright and breezy during the day with smart decor and a relaxed atmosphere – a perfect place for a rendezvous. In the evening, the large wood burning stove and candles transform the restaurant into a romantic and dramatic dining space. 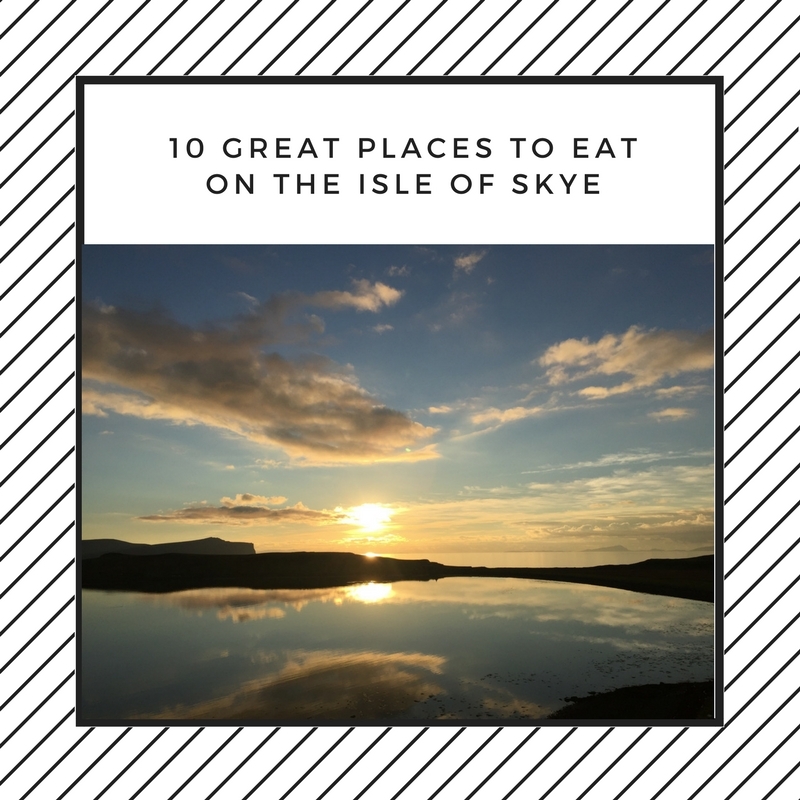 A great choice of restaurant for your first meal on the NC500. Click here to read about our lunch at The Mustard Seed. If you are looking for some after dinner fun, check out Hootenanny in Church Street for a real Highland evening of traditional Scottish music. Visit their website to see who’s playing when you are in town. Connage Cheese Pantry isn’t technically on the NC500 but is certainly worth a detour while you are in Inverness (it’s only about 15 minutes outside the city). 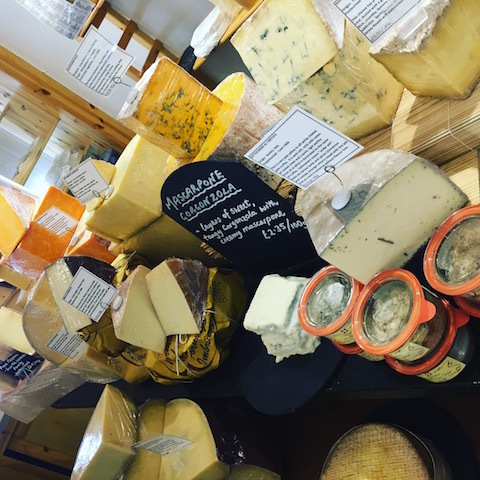 Connage has an excellent cheese room where you can stock up on cheese for your NC500 picnic lunches. 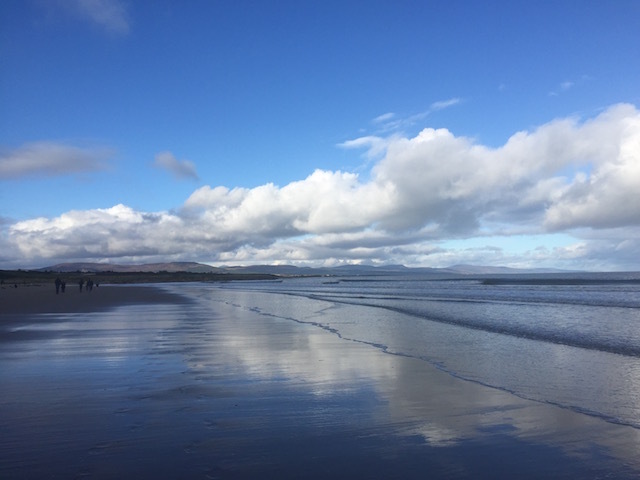 Don’t forget to visit Nairn’s fantastic beaches while you are there. 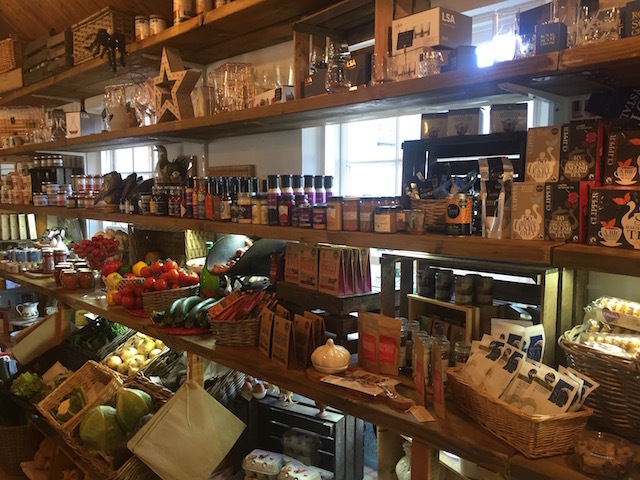 This brilliant farm shop and restaurant are not too far outside Inverness on the Black Isle and on your NC500 route. Ideal for stocking up with supplies for your journey and the perfect place to get oatcakes to go with your Connage cheeses and a bottle or two of Rock Rose Gin or Old Pulteney Whisky! If you run out, you can always restock when you get to each distillery on the way round! 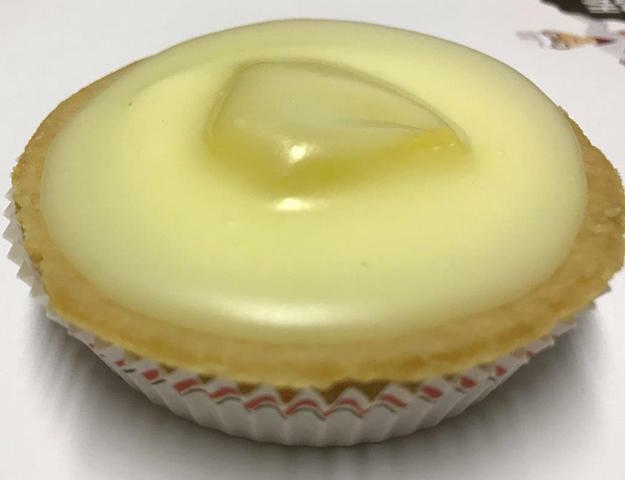 We think Harry Gow’s Pineapple Tarts and Dream Rings are the best in the world. Stock up at their shop in Dornoch and enjoy them with your wee cup of tea in your hotel room – you won’t regret it! 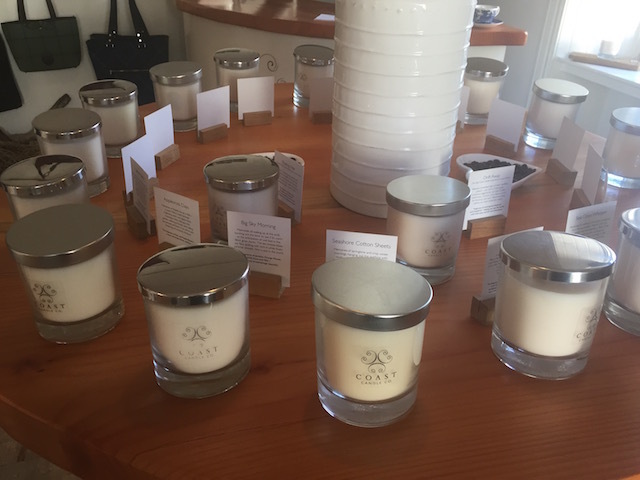 We came across this lovely candle shop on the way to Dornoch beach and recommend a visit to both. We bought their scent called “Applecross Days” to remind us of our NC500 wanders. 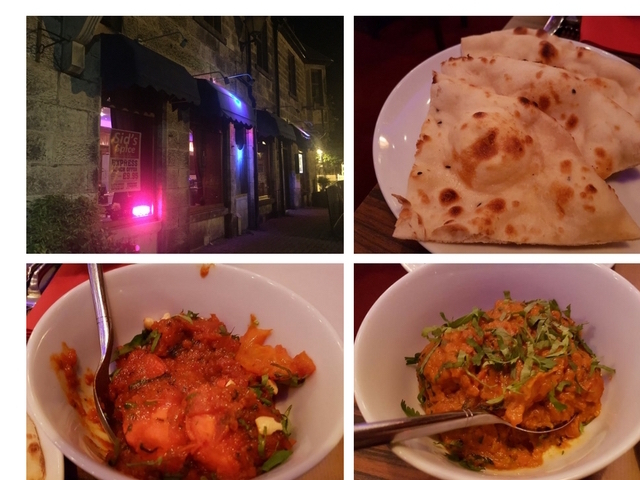 Arriving in Brora, we checked Trip Advisor and Sid’s Spice was number 1 of 5 places to dine. We went along and enjoyed a truly authentic curry. If you fancy a curry, then this is the place to visit. 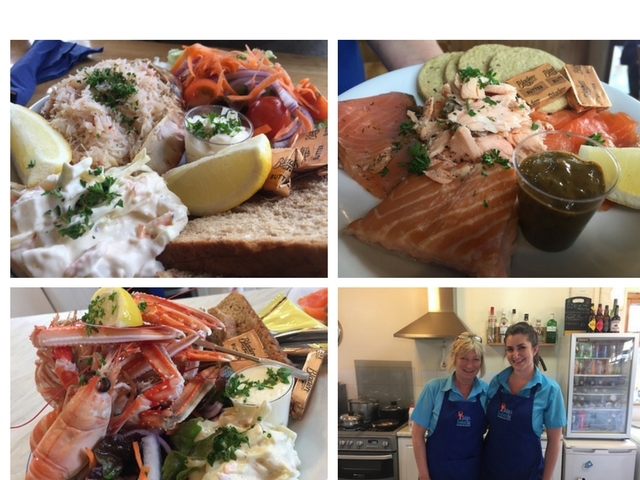 We found Stacks to be an ideal stop for lunch in John O’ Groats. 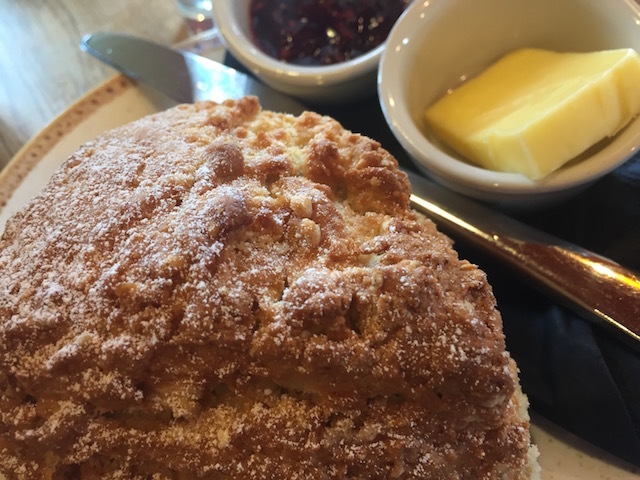 They have a tasty snack menu with homemade soups and beautiful homemade scones. Lovely service and free wifi too! 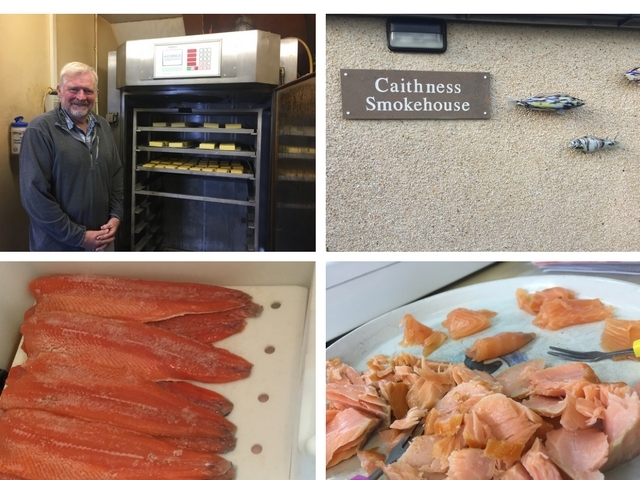 We had a brilliant afternoon sampling lots of John and Christine’s cold and hot smoked salmon and smoked cheeses. They are open to the public most days, and you can buy straight from the smokehouse. It’s probably best to call before you visit just to make sure they are open. Full details are on the website. We thoroughly recommended a visit and as everything comes vacuum packed with good best before dates you can happily stock up for the next leg of your journey. 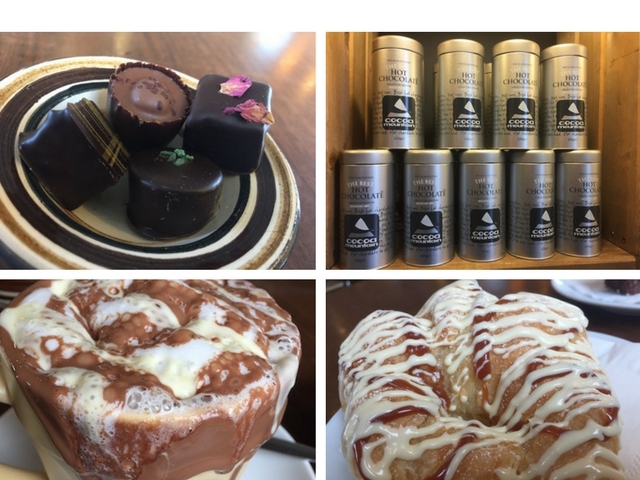 Cocoa Mountain is a ‘must visit’ for chocolate lovers. Their famous Hot Chocolate and croissants are simply incredible. Paul and James founded Cocoa Mountain over ten years ago and make the most amazing chocolates in this very remote corner of Scotland. One of their Cocoa Mountain Hot Chocolates and chocolate croissants will set you up for the day – no need for lunch! 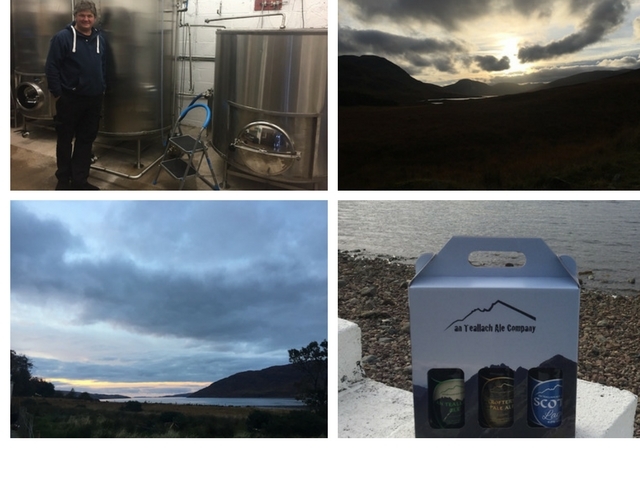 We stopped off on the shores of Little Loch Broom to meet Dave from An Teallach Ales, where he and his wife Wilma set up the brewery on their croft in 2002. Keep an eye out for An Teallach Ales on your NC50o travels as they are excellent and available in many of the hotels and bars along the way. You can also pop in and see Dave at the brewery if you would like to see the brewery in action and purchase a few bottles to take home. It’s not generally open to the public, but if you call in advance, Dave will tell you when he’s going to be there. One of Scotland’s oldest craft breweries in the most beautiful location. Aultbea: The Fat Whippet Restaurant at Aultbea Hotel. The Aultbea Hotel was the second last stop on our North Coast 500 tour and the biggest surprise. We were greeted by a stunning sunset over Loch Ewe and by the equally lovely Ballal who together with his partner Robin bought the hotel three years ago. 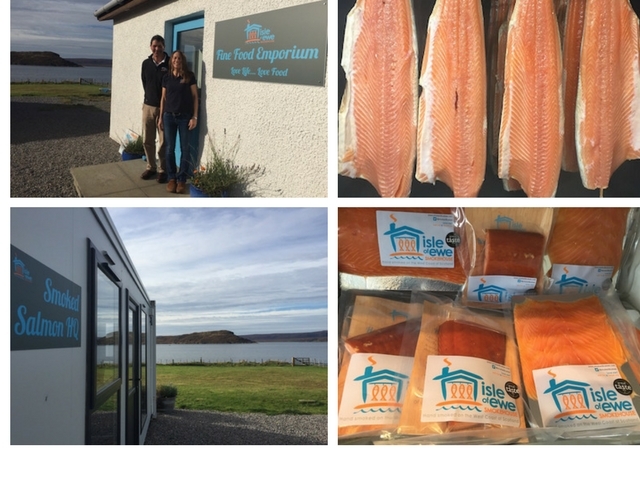 Paula and Alistair run Isle of Ewe Smokehouse and Food Emporium just outside Aultbea, and we thoroughly recommend a visit. 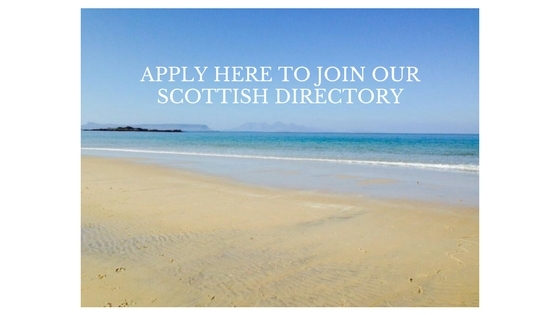 Their enthusiasm for their excellent Scottish produce is infectious, and you will come away on a smoked high! They also have a very friendly little doggie called Crusoe who will help to welcome you and show you the way to the Smokehouse. Smoked salmon, scallops, and cheese are their specialties and you can buy from their shop or order online when you get home. The setting at the edge of the loch is spectacular, and if you are looking for perfume or soaps, randomly you will also find a perfume studio at the end of the road! A foodie haven! The Torridon was waiting for us at the end of our final leg of our North Coast 500 tour and looked a magnificent and welcoming sight as we arrived a bit weary late in the afternoon. 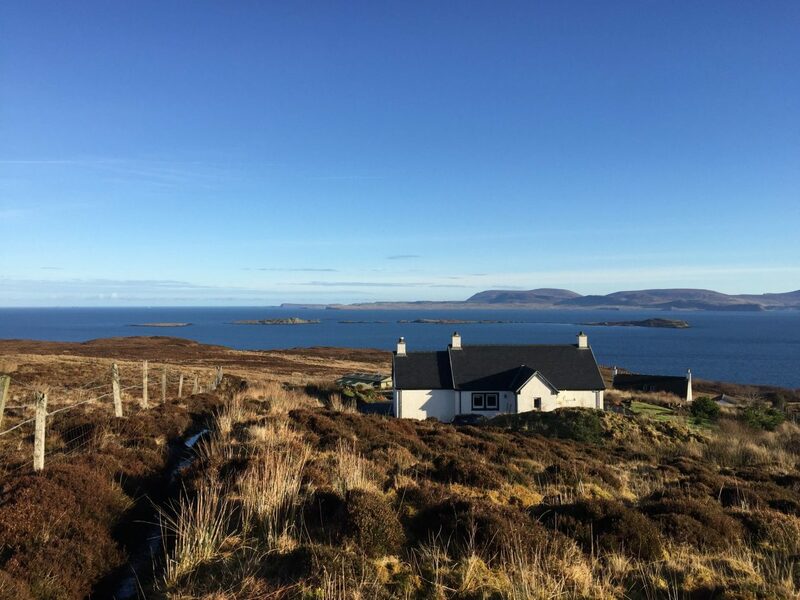 The family owned former shooting lodge is situated in 58 acres of parkland at the head of Loch Torridon and comes complete with its very own stag statue and herd of very cute Highland cattle. We were staying at the less formal Inn situated in the grounds of the hotel which offers high-quality, comfortable rooms based around a courtyard with a lively restaurant and bar nearby. The main hotel also offers 3 AA Rosette dining with chef David Barnett at the helm, and a fantastic whisky bar for afters. Read about our visit here. 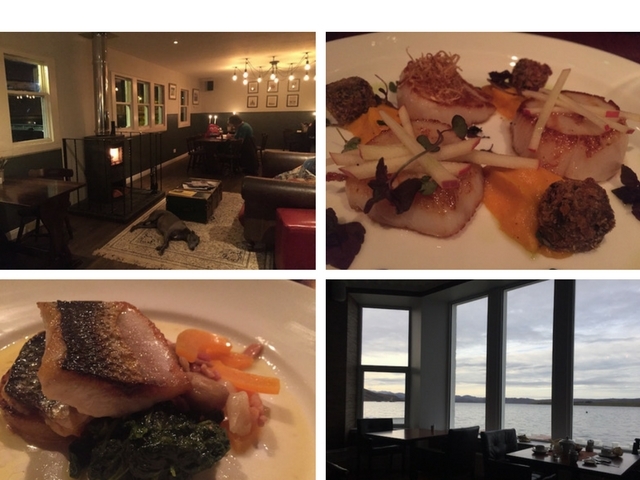 Kishorn Seafood Bar looks over the sea to Skye and is probably one of the most understated and relaxed seafood emporiums you will come across. Twenty years ago Viv Rollo decided on a change of career from the fish farming industry to setting up the seafood bar. Viv’s daughter, Lisa, has taken over the family business this year ensuring the success story continues for years to come. We enjoyed a fabulous seafood lunch in this excellent restaurant and highly recommend a visit. Read all about our visit here. We travelled the NC500 in October and were so fortunate to have a week of fantastic weather. Visiting in October turned out perfect; the roads were quieter, and we felt like we had the place to ourselves. The hotels were still very busy, so you should book ahead to make sure that you get a bed for the night. The next time we visit, we plan to allow extra time to explore more of the west coast as there’s so much to see. We also thought that it would be lovely to spend a couple of days visiting Orkney in the middle of the trip since you are right on the north coast of Scotland and so close. The North Coast 500 website was excellent in helping us plan the trip so make this your first port of call for your NC500 trip. If you’re not sure where to stay or what stops to make and want to discuss your travel plans we are more than happy to help keep you right, so don’t hesitate to email, call or message us and we will give you any help we can. Our last piece of advice is to make sure you often stop (safely of course! ), get out of your car and explore away from the roadside as you will find the most fantastic beaches and vistas just a few steps from the roadside. 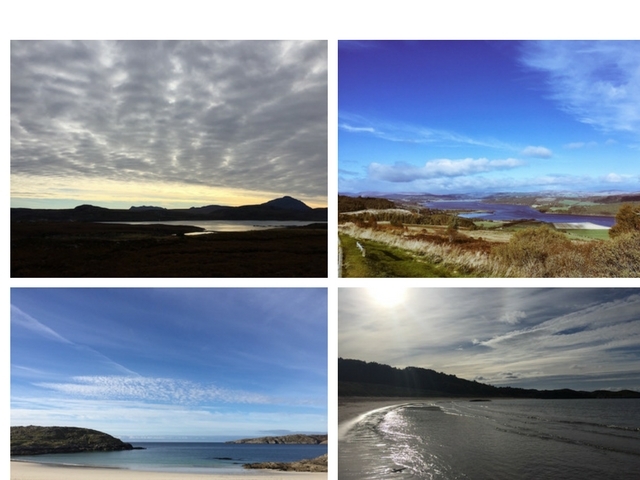 Here are some of our favourite views from our NC500 road trip. 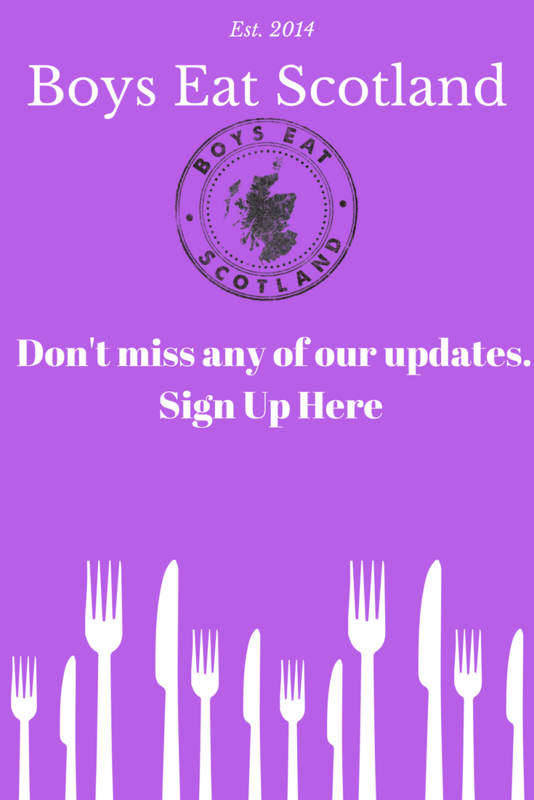 You can keep track of our travels at www.theboyseatscotland.co.uk and @Boyseatscotland on Twitter, Facebook and Instagram.